You might have read (and enjoyed) reading one of my previous posts, 7 Best Countries to Invest In. It has become one of my most visited posts in the past month and has a lot of interesting information on these seven countries. I am going to turn the tables now and tell you the countries that have the worst economies in the world. Doing this list will allow people to see some common trends in these countries and help investors identify some trouble spots. Plus, its just interesting for anyone interested in finance to see how things are shaping up around the world after the Great Recession. To identify trouble areas, we list them in red so you can see what is each countries weak spot. Economic Problems: Facing high unemployment and very high underemployment, a growing public debt, inefficient public sector, and corruption in the government. Forecast: Portugal will recover quickly from the crisis that has marred its once proud economy. Major parties signed an agreement on reducing debt on March 26, easing investor fears of a European economic fallout. 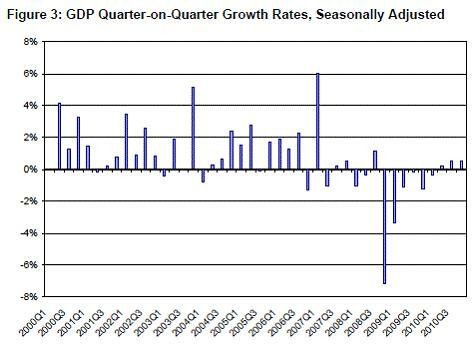 Although the economy contracted in 2009, it is predicted to bounce back in 2010 with a 0.8% growth. 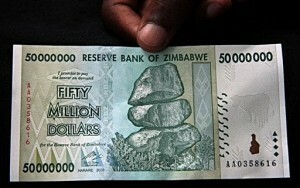 Economic Problems: Zimbabwe’s economy collapsed after the land reforms were initiated in the early years of the decade. Inflation was over 1 sextillion % (10^21), unemployment spiked, the GDP contracted 40%, and industrial production was cut in half. Forecast: Zimbabwe has the hardest obstacles on the road to recovery. Virtually no one has a job, the money is worthless and the government has no credit. Its going to take a lot of years of humanitarian effort and changes in the law to ensure that the country can be successful again. Economic Problems: The largest problem facing the Greek economy is an impending federal bankruptcy because of the huge debt. Furthermore, the government has a budget deficit of $50 billion dollars in 2009. Problems are further fueled by political and economic corruption. 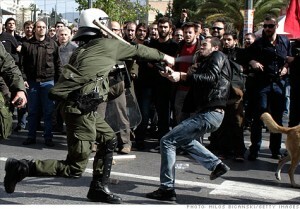 Forecast: As the 27th largest economy in the world, the faith of Greece can have lots of consequences on the world market. The stock market in the United States vacillates on positive and negative news from the Greeks and the EU and IMF (International Monetary Fund) are actively searching for ways to help Greece cope with its budget debt. The forecast looks bad for a few years (much worse than Portugal), but there is hope in the future once the worldwide market stabilizes. Economic Problems: Ireland has been in a depression since 2009 with GDP contraction of 14.5% in 2008, 9 % in 2009 and 3.3% predicted for 2010. Unemployment has skyrocketed to the highest amongst EU nations and bank solvency is under critical care. Forecast: Ireland faced the same problems that the United States is facing but was unable to come out of a deep recession because its economy was not strong enough. It has a shaky future, depending on financial bailouts from the EU powers and the ability for residential and commercial real estate to make gains. Economic Problems: Lithuania was one of the last to be hit by the economic decline in Europe but was hit very hard. The economy contracted by almost 1/6th and unemployment skyrocketed, mostly due to reliance on Exports to EU countries. Real estate is still showing lackluster performance, but there is good news for trade as slight profits have been reported and the economy has stabilized. Forecast: Lithuania’s economic contraction is very similar this to the recessions that hit other Post- Soviet nations (Georgia, Armenia, Latvia, Ukraine, and Russia). However, most countries have begun to stabilize their economy and Lithuania is no different. It will begin to register growth by as early as Summer 2010. Are you from any of these countries or have relatives living there that can describe the state of the economy? Where else do you think is the economy really hurting? If I was making a list on “Best Countries to Live in for 2010” I would definitely not put Zimbabwe with these countries, however, from the 190 countries you mentioned, most are doing as well as Greece right now in terms of the economy alone. I don’t understand how you came up with ‘socio-economic factors’ for a list only on financials. I definitely wouldn’t put Portugal at the top of this list or compare those European economies with Zimbabwe. To say Portugal has the worst economy in the entire world is a HUGE stretch.